Most seasoned mechanics know that a "Blue Printed Engine" can produce the maximum efficiency available. We incorporate this philsophy in all of our remanufactured products. This page will highlight some (very few) of the air brake components that we offer. All of our air components carry our standard warranty against defects in parts and workmanship. 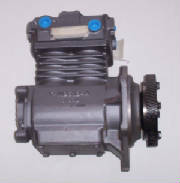 If you are looking for quality remanufactured and/or new air brake parts, you need not look any further. If you have a Webasto or Aqua Hot heating product and are interested in learning more about them or have a nagging problem that no one seems to have an answer for, you have found the right placed to go to. We are one of the oldest Webasto stocking distributors and premier warranty and repair facilities in the USA. We are knowledgeable with the entire Webasto product line and offer free technical support world-wide. Our reman. air compressors are rebuilt to Bendix specifications like the Tu Flo 750 shown above. We use all Bendix component parts in the rebuild process but that is where the simularities end. All cylinder heads are precision ground to within .00002, updated discharge (7) valves are incorporated and, drive gears are installed as the final process which eliminates the possibility of brinelling bearings or over stressing the crankshaft. This is a winter "must do" item . This is just one item that will keep your air brakes from freezing up.So make sure that your end covers are in correct working order. They are available in both 12V and 24V for all models of driers. 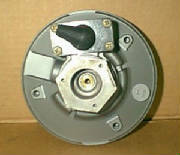 Our rebuilt parking brake valves utilize Bendix internal parts exclusively. As does all our rebuildt air brake components. *** We suggest that our customers who are ordering our air products check our pricing on new units as well. Part #228750 - Stop light switch. 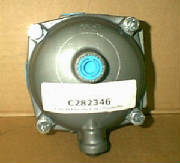 Don't confuse this valve with a PP2. Call our tech support department so we can make sure you are ordering the correct part. 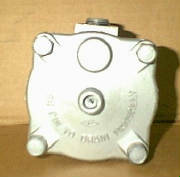 Bendix, Haldex and Sloan automatic drain valves.